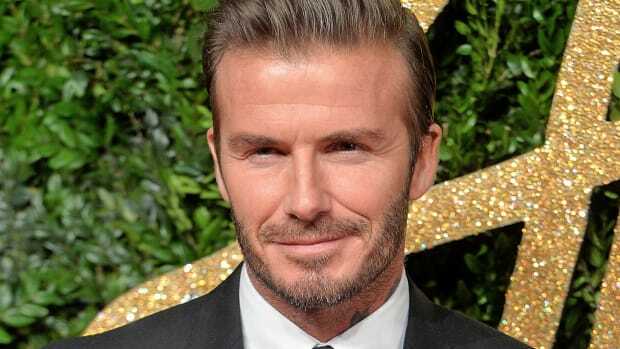 This past spring, reports surfaced that David Beckham was in talks to develop his own lifestyle brand. And as of Wednesday, it&apos;s a done deal. Global Brands Group, a spinoff of Hong Kong-based consumer goods distribution firm Li & Fung, announced that it has entered into an agreement with Beckham and his business partner Simon Fuller. The deal is described as "a new joint venture to drive the continued development of the Beckham brand globally in new consumer product categories." Beckham and Fuller will together own 50 percent, with Global Brands owning the other 50 percent. It&apos;s a natural next step for Beckham, who has embarked on a number of buzzy collaborations over the past couple of years with global brands including H&M, Belstaff and Adidas. It sounds like Beckham and Fuller, the man behind everything from "American Idol" to the Spice Girls to Victoria Beckham&apos;s growing fashion empire, have been working on the project for awhile, and we expect it won&apos;t be long before the first products materialize. And Beckham won&apos;t be the sole high-profile ambassador for the brand. Global Brands, whose portfolio includes Calvin Klein, Coach, Rachel Zoe and hundreds more, says the joint venture will also see the launch of global brands "in partnership with a number of other high-profile iconic sports and entertainment stars and rights holders." Our only hope is that now that Beckham is on the business side of things, he doesn&apos;t stop posing in his underwear. Please don&apos;t stop, David. The retired soccer — we mean, football — player has inked an ambassadorship with Biotherm Homme. David Beckham looks so handsome in this just-released campaign image for his new fragrance, I almost want to buy it for myself. The soccer star and proud father is launching Homme by David Beckham, his third fragrance with Coty, which is apparently meant to have a more masculine image. Steve Mormoris, senior vice president of global marketing for Coty Beauty, told WWD, David Beckham Homme is a strategic launch for us and represents a key new orientation for the David Beckham fragrance brand — getting back to the male roots of the brand, enhancing David as an athlete and an aspirational man and building a new pillar to the David Beckham franchise. Although Homme sounds like it's all about the branding, here's a breakdown of the scent: top notes of citrus, ginger, pine and fiery pepper; a heart of cashmere wood, leather and rosemary, and a drydown of mahogany wood, patchouli and skin musk. The print campaign was shot by Alasdair Mclellen and a commercial is on its way! And since clearly all we care about is pictures of David Beckham, here are two behind-the-scenes shots via his Facebook. Enjoy!